The roses in the flower carpet series are incredible performers. They are noted for their resistance to disease, as well as their ability to produce masses of flowers. 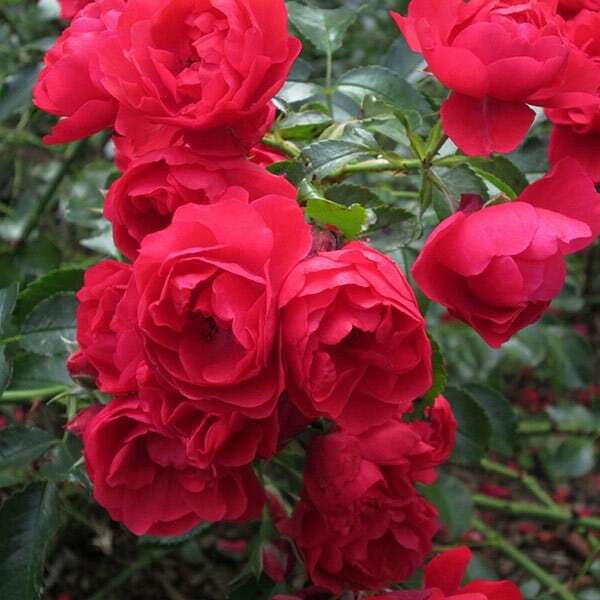 They are also one of the easiest roses to grow, becoming tolerant of drought once they get established. 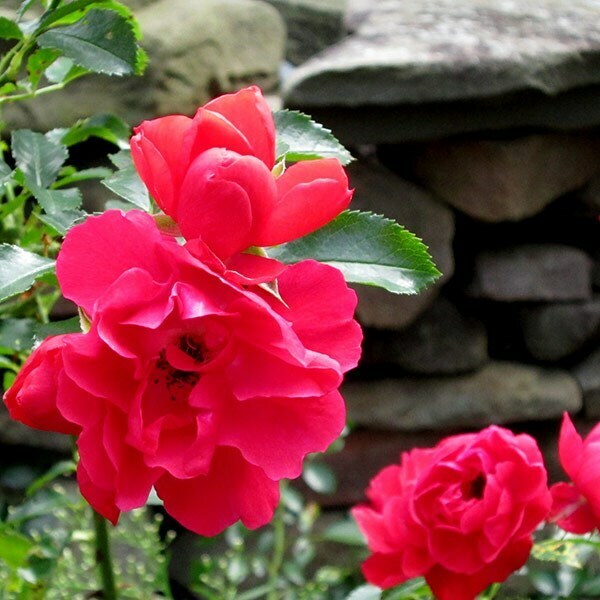 As the names suggests, this one has really vibrant red flowers, so it really is eye-catching - even from a distance.